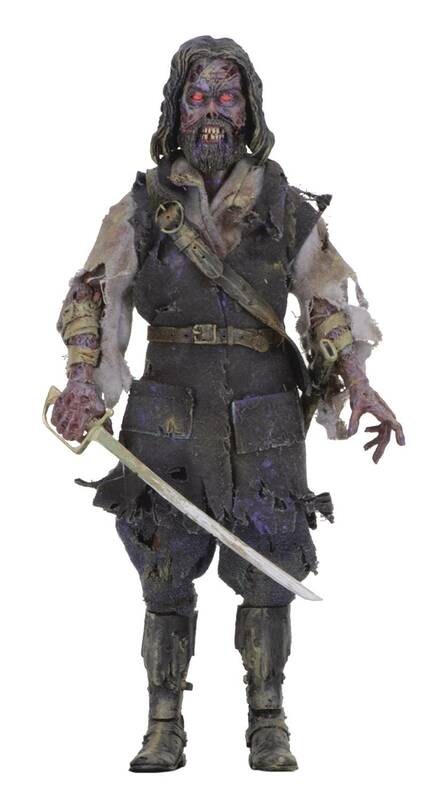 Produktinformationen "THE FOG CAPTAIN BLAKE 20 cm RETRO ACTIONFIGUR"
From NECA. Bolt your doors... lock your windows... there's something in the fog! 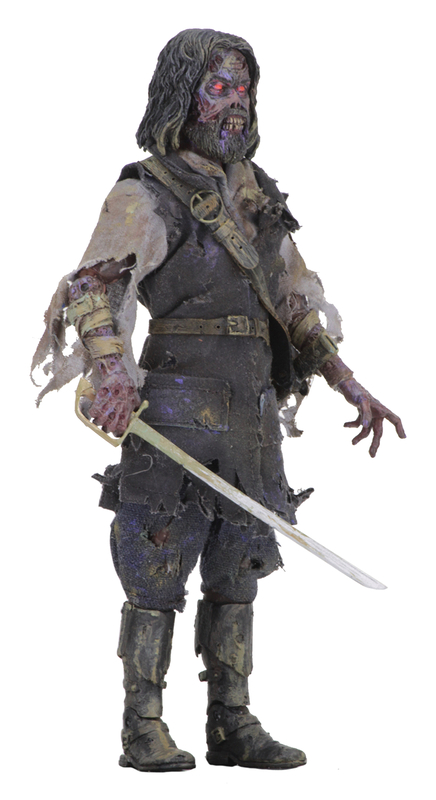 From John Carpenter's 1980 horror film The Fog, the vengeful ghost of Captain Blake joins NECA's clothed action figure line. Blake is dressed in tattered fabric uniform and comes with a sword accessory that fits in a sheath at his belt. Blister packaging with resealable protective clamshell features new artwork created just for this release. Weiterführende Links zu "THE FOG CAPTAIN BLAKE 20 cm RETRO ACTIONFIGUR"
Kundenbewertungen für "THE FOG CAPTAIN BLAKE 20 cm RETRO ACTIONFIGUR"